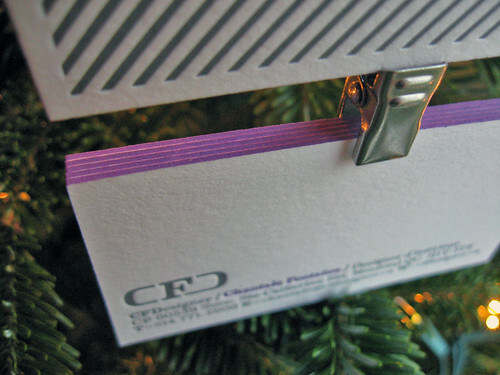 Add a pop of color to your card! 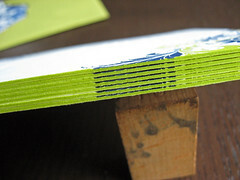 If you’re reading this you might be asking yourself, “what’s edge coloring?” It’s a special process we developed several year ago to add color to the edges of cards. 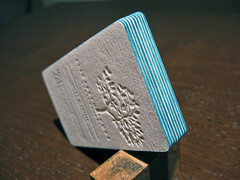 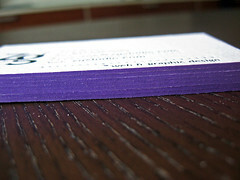 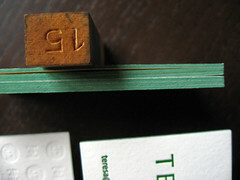 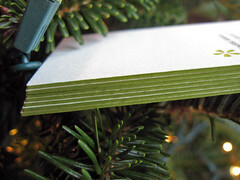 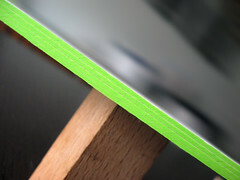 Edge coloring has become a very popular finishing technique for business cards, wedding invitations, and social stationery. 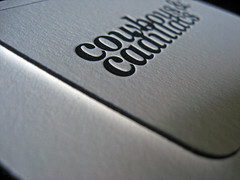 We we’re busy photographing print work this week and thought it would be the perfect time to highlight the process. 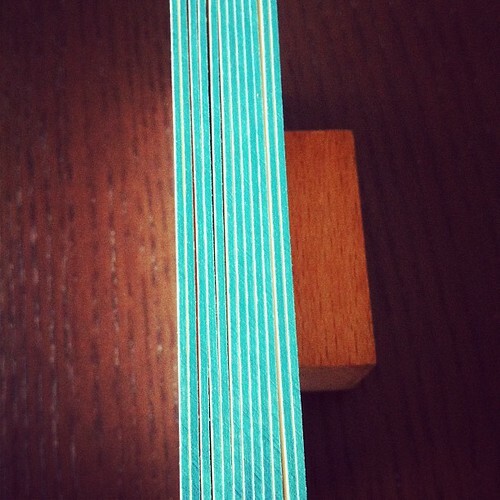 More photos of colored edges after the break. 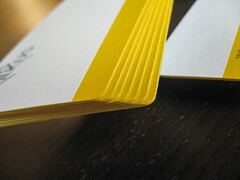 We’ve blogged a lot of cards with edge coloring and no matter how many times we do it, every card just looks that much better with colored sides. 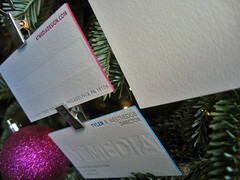 Above are cards for CFDesigner, AtMedia, and Joanne Hoerle. 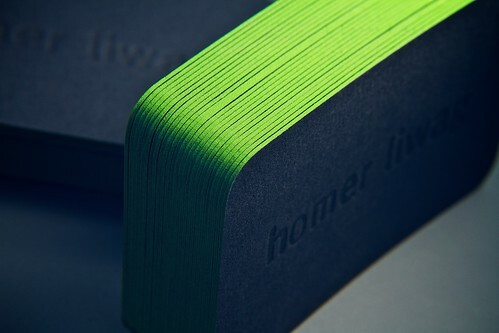 Below is a photo of bright green edges on french paper for cards we printed for Homer Liwag. 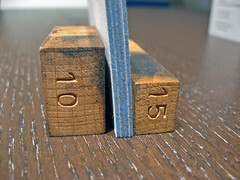 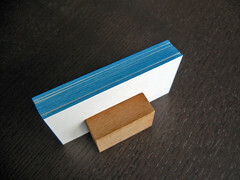 Edge coloring is a finishing technique applied to cards after printing. 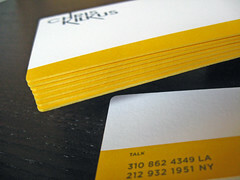 We can edge cards in any color, even metallic gold and silver. 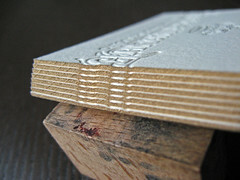 Edge coloring works best on thick stock which is why we recommend it only for 220lb or equivalent stock. 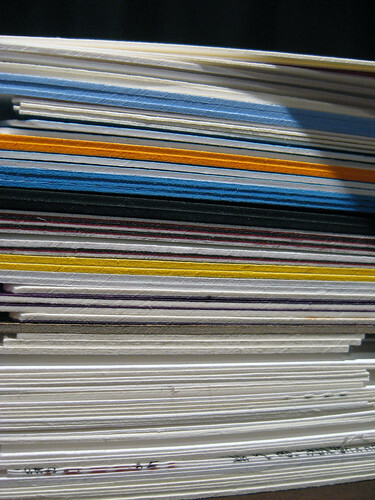 A popular choice with edge coloring is duplexing, a lot of these examples show either duplexed 110lb sheets or duplexing with French Paper or another colored stock. 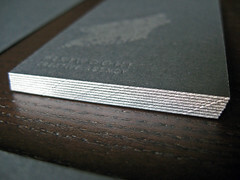 If you’re interested in using edge coloring on your wedding invitations or business cards, email us (contact@dolcepress.com) for more information and samples. 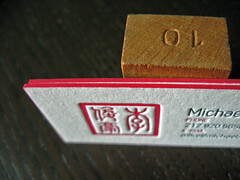 There’s no short supply of business cards to blog (see below).